O&G expands and renovates the home court for two of the nation’s top collegiate basketball teams. 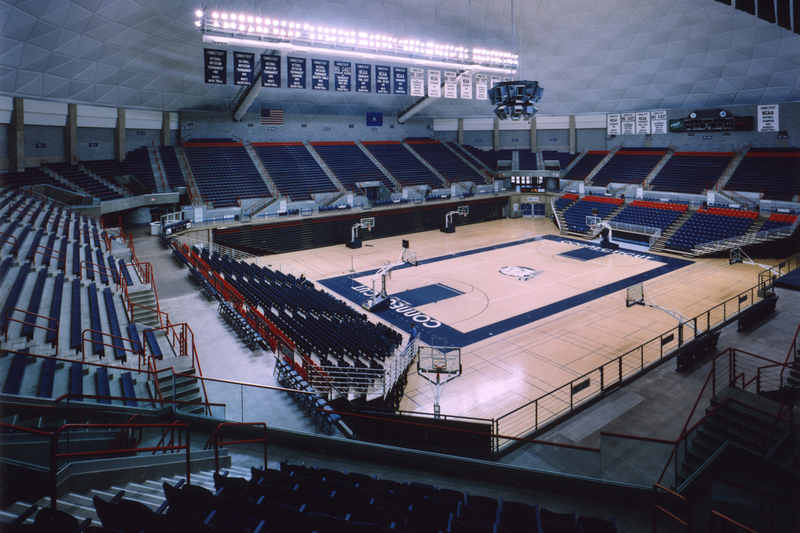 The 2,200-seat expansion project was originally scheduled by UConn in two phases with a two-summer schedule created so that the start of the regular season for both basketball teams would not be impacted. 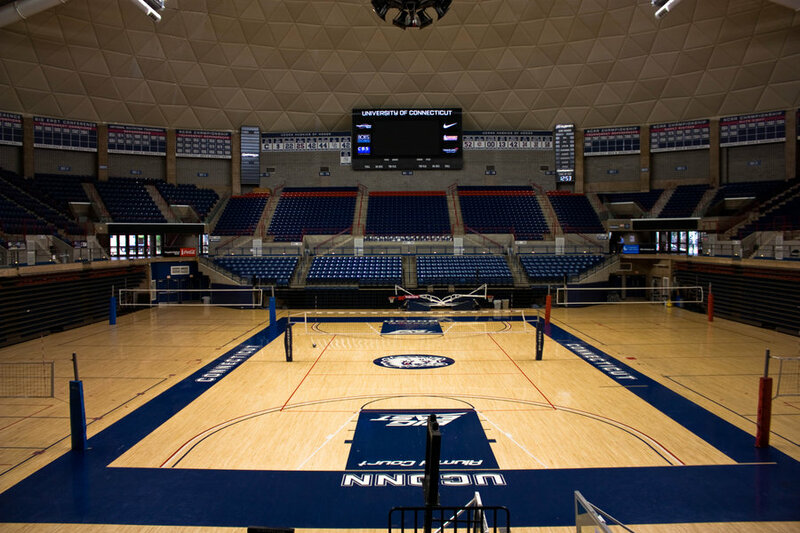 Prior to bidding, UConn officials had expressed concerns that the schedule would not be sufficient to complete the project. Upon contract award, O&G convinced the University that all work could be done in one phase, with less impact and less risk than the original schedule, and with the added economic and promotional value of having the additional seats available a year sooner. Working under O&G’s revised schedule, the seating was in place well in advance of November’s regular season basketball openers. In April of 2002, O&G’s service was once again used for construction of new seating at either end of the court, adding about 140 more seats and upgrading athletic facilities that included men's and women's training rooms, therapy rooms and lockers. Repairs were made to the basketball floor and new retractable seating at both basket ends were installed. Offices for the UConn coaches and their staff were the showpiece of the renovation.